Don’t mess with a classic. Vanilla Custard can’t be topped! Welcome to Tea Tuesday, my weekly ritual of sharing tea with Downton Abbey fans. UK fans have been glued to their tele on Sundays, now known as Downton Day. I know Season 3 will be over soon on ITV, but the good news is that the Jan. 6 PBS launch is getting closer. There really is something special about watching Downton on PBS Masterpiece. 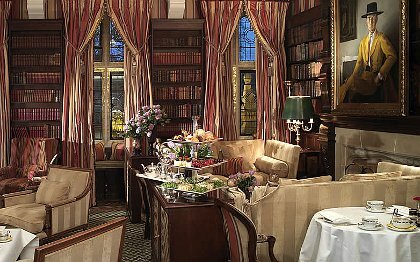 Do join me each Tuesday as I dish on Downton Abbey, the Royal Family, UK tourism and other topical tea issues one might discuss at tea, served up with a tea treat recipe with history. Today’s treat is Jam Tarts. Downton Abbey fans across the UK have come to call Sundays “Downton Day”, the day of the week to enjoy new episode of Season 3. Don’t fret US fans, January 6th is drawing closer and by that time, UK fans will be pining for Season 4. 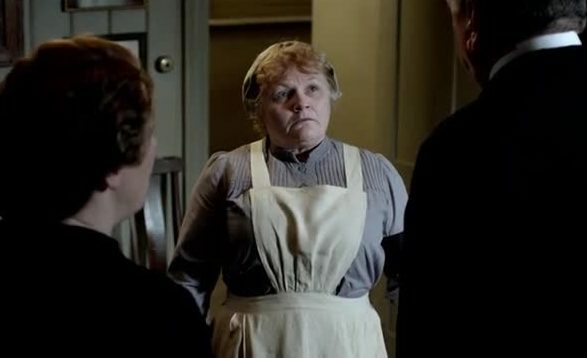 S3E6 is a great episode for those who love Mrs. Patmore, Daisy, and how food can play an important part in people’s lives. I came away with specific dishes to prepare for Downton fans, and affirmation that the role of more experienced cooks is to help others, particularly those eager to learn. This dovetails nicely into what to cook for a casual Downton Day Dinner. Families used to sit down to Sunday dinner, and some to try to keep this one day of the week for gathering for a great meal. I do like to serve meals which are hearty, yield leftovers for the rest of the week, but also those which are easy to prepare. Fuss on Saturday nights, relax on Sundays. My advice to those who want to learn more about cooking: like everything else, practice makes perfect, but cooking doesn’t have to be perfect the first try, and you learn from your mistakes. 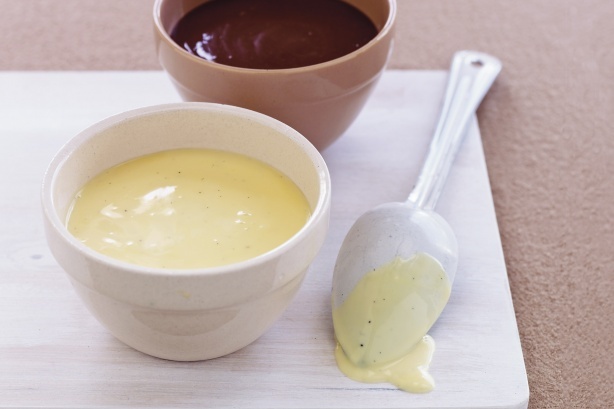 Downton Abbey kitchens have seen their share of mishaps; some which were rescued–dropped chicken, broken hollandaise–others were harder to disguise: salty pudding and burnt souffle. Pick up and move on. And my advice to tasters? Give gentle, but truthful feedback, otherwise we won’t learn as cooks. It is in your best interest: otherwise you will be continually served food that you don’t like or which is improperly cooked. Isobel is a great example of how to encourage and be supportive. When Lord D approves a dish (he had a national culinary magazine in a past life) I know I can share it with you. Welcome to Tea Tuesday, my weekly ritual of sharing tea with Downton Abbey fans. Downton fans are counting down the days until the January 6th PBS launch. This will give US foodie fans time to carefully plan S3 launch parties (check out my link to upstairs/downstairs theme ideas). Do consider supporting Vermont Public Television’s Downton Abbey Inspired Culinary S3 Launch Weekend at the Essex Resort in Vermont (see details below). The British may have historically failed in other culinary areas*, but excel in the tea ritual. 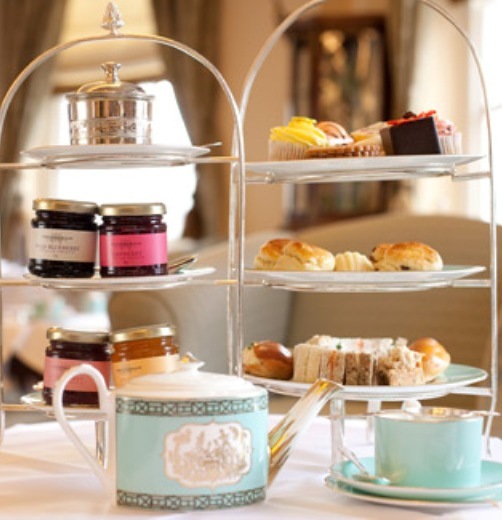 Each Tuesday I dish on Downton Abbey, the Royal Family, UK tourism and other topical tea issues one might discuss at tea, served up with a tea treat recipe with history. Today’s treat is Almond and Rose Petal Squares from Fortnum & Mason.